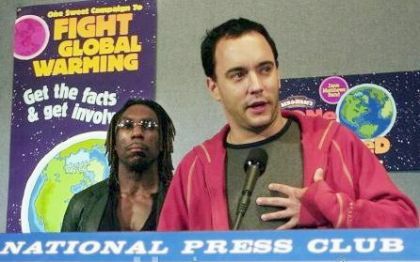 -- On April 2, 2002, the Dave Matthews Band, SaveOurEnvironment.org and Ben & Jerry’s announced the launch of One Sweet Whirled – one sweet ice cream and one sweet campaign to fight global warming. This unique campaign is a product and the product is a campaign. One Sweet Whirled is a marriage of the environmental community, an entertainment industry icon and a socially responsible company with the goal of mobilizing the public to take action to fight global warming. -- The One Sweet Whirled campaign urges people to make a pledge to reduce their personal carbon dioxide (CO2) emissions by 2,000 pounds (emissions are measured in pounds). Shedding 2,000 pounds represents about a five percent reduction in the average American’s annual emissions. People can take the “Fight Global Warming: Lose 2,000 Pounds!” pledge by promising to make small, very do-able changes in their lives, such as driving 15 fewer miles a week, and voicing their concern with political messages to Congress about efficiency legislation and the need for increased renewables (such as wind and solar power). Dave Matthews Band One Sweet Whirled™ is also the name of the new Ben & Jerry’s ice cream flavor and a portion of every sale will go to support global warming initiatives. 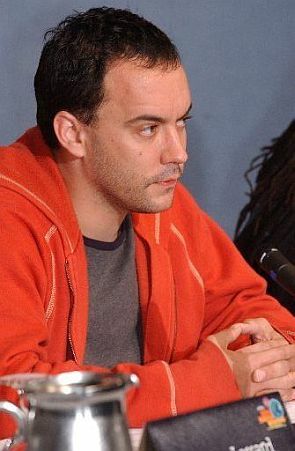 The inspiration for the flavor name came from the Dave Matthews Band’s environmental hit single “One Sweet World,” from their debut album, Remember Two Things. “We are honored that Ben & Jerry’s offered us this flavor, One Sweet Whirled, and asked us to partner with them and the nation’s most influential environmental advocacy groups to help stop global warming,” said the Dave Matthews Band – longtime supporters of social activism. “The campaign sounded great and when the first pint of One Sweet Whirled didn’t last long on the bus, it all came together for us.” To learn more, click here.